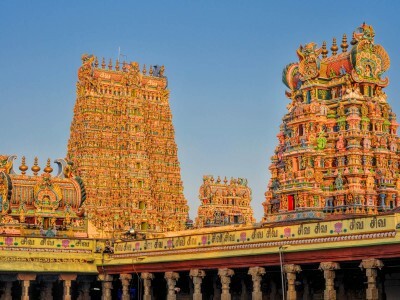 The Madurai temple tour is a must do in any Tamil Nadu temple tour. 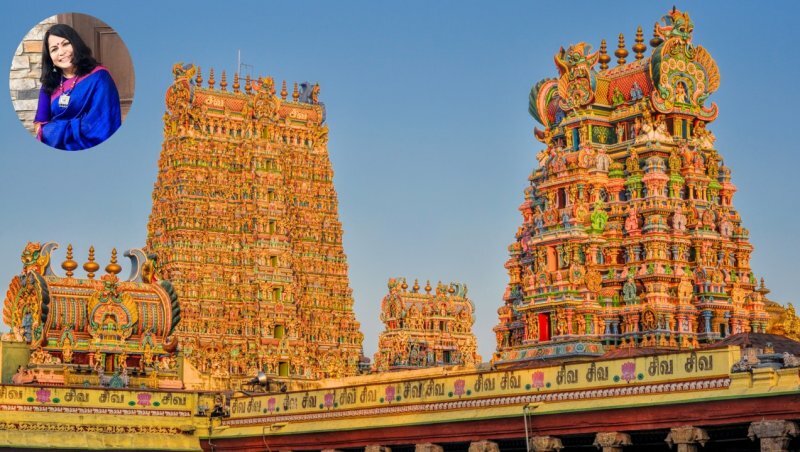 The lofty Gopurams of the Madurai Meenakshi temple dominate the Madurai’s landscape. The temple is dedicated to Goddess Meenakshi, a form of Parvati. Legend says Meenakshi married Lord Shiva in the form of Lord Sundareshwar. The temple is famous for its exquisite sculptures and its thousand-pillared hall. Discover the art of making Madurai’s famous Sungudi sarees on a textile tour which has been curated with inputs from Co-Optex, a cooperative of traditional handloom weavers of Tamil Nadu. Sungudi sarees are Tamil Nadu's own version of the Rajasthani bandhani. Fine motifs are created on cotton fabric using a painstaking tie and dye technique. The process of tying the knots in intricate patterns is called 'putta' or 'bandhani' work. We will discover this fascinating process by visiting the weavers’ homes. We will also discover the art of organic dyeing at the organic dye center run by Co-Optex. Discover making of dyes from natural material like pomegranate seeds and banana flowers. We will also discover how the famed Ikat sarees of Chinnalapatti are woven. You will be in the company of Shefali Vaidya – noted columnist, author, travel writer and a textile enthusiast during the entire tour. Shefali has a passion for sarees and is well known for her indepth knowledge of different varieties of sarees and what goes into their making. She is also very well known for her knowledge of Indic heritage and the temples of India. We start in the morning at 9:00 am from Madurai and drive towards the temple town of Chinnalpatti where we will visit weavers homes to discover the fine art of silk saree weaving. 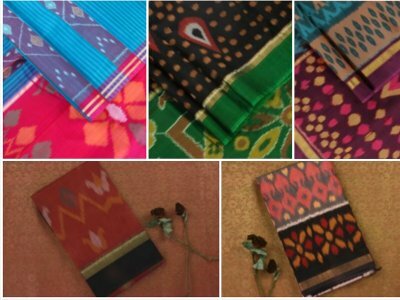 Every home in Chinnalapatti resonates with the rhythmic click clack of looms as nimble hands weave exquisite ikat sarees from the softest of silks. Next, we will visit the organic dye center of Co-optex to learn about organic dyeing. Co-optex has come out with with a fully organic range of sarees that uses organic cotton as well as organic dyes. We will return to Madurai for a traditional South Indian lunch followed by Madurai's gourmet specialty, Jigarthanda, a tasty concoction of milk, China grass and fragrant rose water. We will spend the afternoon exploring the art of making Sungudi sarees. Sungudis were introduced to Madurai by weavers from Saurashtra, Gujarat who migrated to Madurai in the 16th century. Sungudi sarees are woven in the softest of cotton with or without thin jari borders. The sarees are light and easy to drape. Spend the evening at the hotel getting to know each other over dinner through fun games and quizzes. After a sumptuous breakfast at the hotel we start our journey to explore the famous Madurai Meenkashi Temple, one of the largest temple complexes in Tamilnadu. Life in Madurai revolves around the temple. The famous thousand pillared hall is a must visit. There will be an experienced local guide who will explain to us the intricacies of the temple architecture.